SUNDAY, Oct. 21, 2018 (HealthDay News) -- Jack-o'-lanterns can be scary, but they shouldn't be dangerous. Last year, pumpkin carving accounted for nearly 3,200 of the 16,706 Halloween-related injuries treated in U.S. emergency departments, doctors' offices and clinics, according to the Consumer Product Safety Commission. 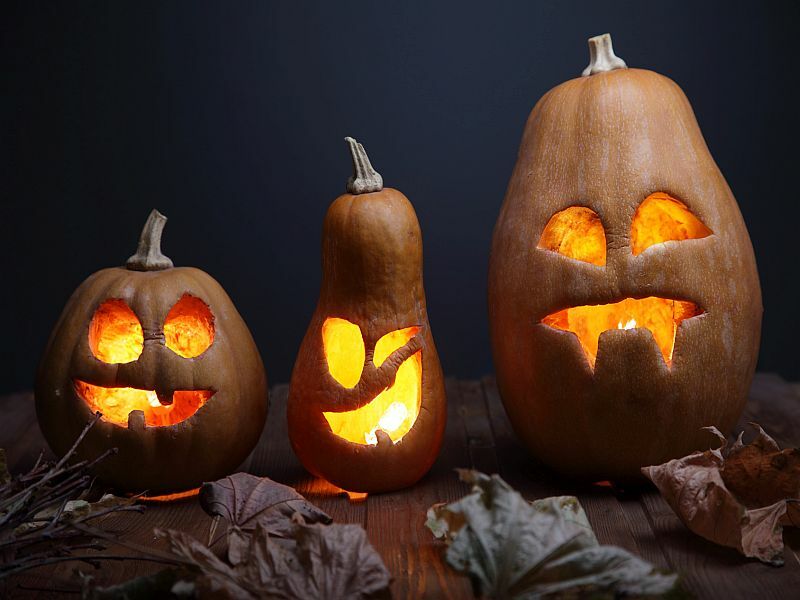 "Pumpkin carving is a fun activity, but it can result in serious cuts on the hand and injuries to bones and tendons," American Academy of Orthopaedic Surgeons spokesman Dr. L. Reid Boyce Nichols said in an academy news release. "Consider having children decorate pre-carved pumpkins with stickers and paint to avoid using sharp objects. This will allow children to join in the fun while eliminating the use of sharp objects and their risk of injury," he suggested. Use a pumpkin carving kit or knives that are specifically designed for carving. They're less likely to get stuck in thick pumpkin skin. Carve pumpkins in a clean, dry and well-lit area, and make sure there is no moisture on the carving tools or your hands. If someone suffers a cut, apply pressure with a clean cloth and elevate the injured area above the heart. If bleeding does not stop within 10 to 15 minutes or if the cut is deep, you may need to see a doctor. Clean cuts and cover them with clean bandages. Don't use candles in pumpkins or other Halloween decorations. Use non-flammable light sources, like glow sticks or artificial pumpkin lights. Nichols added that pumpkin carving isn't the only potential Halloween danger. "Trick-or-treating can be dangerous if caution is not taken when near traffic and other distractions," he said. "While you walk, look up, not down and pay attention to the people, objects and obstacles around you. Distracted walking can easily be avoided." Remind children to use crosswalks and obey traffic signals as they go from house to house. Bright-colored costumes will be easier for motorists to see, but adding reflective tape to clothing and goodie bags will provide added visibility. Using a flashlight is also a good idea.